Not getting the results you need from your website? It might be time for a complete site upgrade or "website facelift". 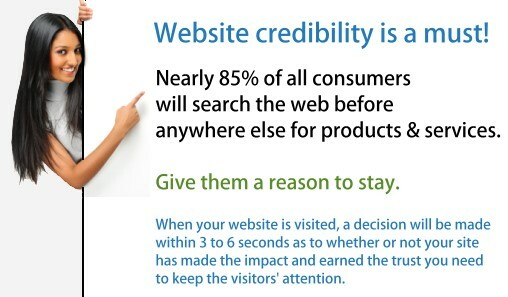 One goal must be achieved by your business when a visitor lands on your website: Visual Credibility. People often ask why they shouldn't use simple, inexpensive cookie cutter template systems that are available all over the web. 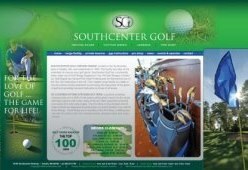 Take a look below at a few of our website redesign projects. If you were building a house, would you buy your own tools, nails, lumber, power equipment and just start banging away? The answer is obvious. 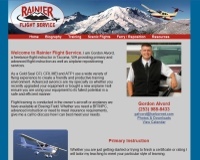 So why do that with your web presence when you can have a custom website that works for you? The first impression you make is always a lasting one, and certainly you've got competition in whatever it is you are doing or selling. So why not "wow" your visitors when they arrive, with a quality, credible website that says "we're good at what we do". This is truly the only formula that works when it comes to a quality website. We are continually at work on new website designs as well as complete website redesign services for companies large and small in all industries. 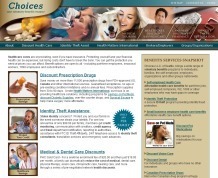 The samples below are a select few site improvements we have designed. Your web design does not have to look unappealing or unprofessional, and it certainly doesn't have to stay buried in the bottom ranks of Google searches. We maintain existing websites, provide complete website upgrade services and professional Search Engine Optimization (SEO) that all work in unison toward your company visibility and overall credibility. We discuss this in further detail on our search engine optimization page. The formula is simple: If your site visitors not visually impressed with your website, they will leave in as little as three seconds. Shop for a new website based on price alone and this decision can be devastating to your business success. Impress your visitors the moment they arrive on your site, or lose the business forever. It really is that simple. 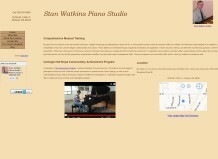 A local Kirkland, WA piano instructor had a website that did a decent job conveying the services offered. 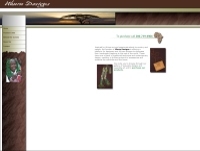 The problem was that the site was outdated, somewhat stagnant and really in need of a complete redesign. We stepped in to provide a beautiful website design with a custom CMS to make the owner completely self-sufficient in being able to modify all the site's content, including his blog without having to rely on us or any web development company for ongoing mainenance and updates. 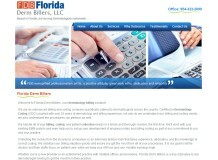 A Florida based medical billing company had all the credentials and experience to take on even the most complex of billing challenges. The problem was that their website did little to enthuse or convince the prospective customer of their skills and experience. We gave the site a custom design and completely overhauled the original look and feel to help the client make an immediate statement of quality and excellence. 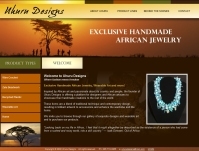 A Woodinville importer of handmade African jewelry and accessories quickly ran through their budget for marketing and advertising, but the old website did nothing to generate sales. We stepped in to establish a presence that is aesthetically pleasing and appropriate for the items they sell. Now the company's ads in local publications - which always attracted web visitors - will easily convert visits into sales. This website is in development. 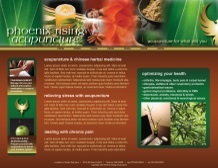 Phoenix Rising Acupuncture Center of Olympia and Tacoma, Washington is a reputable acupuncture and oriental medicine provider who was unfortunately not gaining much new business with their self-designed, website template. The new website design will provide the customer with an entirely new look and feel that better fits their business and its competencies. 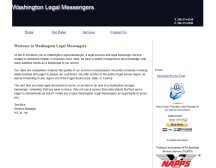 Washington Legal Messengers of Seattle has been in business for nearly two decades, but their old website did little to convey the company's history, credibility and professionalism. 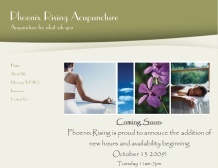 This was a quick and simple website redesign project that involved a new look and feel that is powered by a custom CMS. Prospects are much more likely to become customers given the impact that is immediately felt by the new site design. 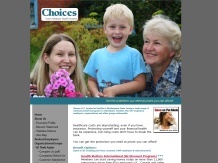 Choices, LLC of Seattle, Washington provides healthcare benefits discounts, prescription drug savings and international surgery discount programs. 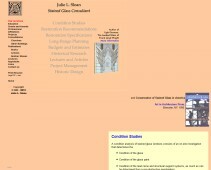 The company's original website design (left) was cluttered, confusing, misshapen and difficult to navigate. Our website redesign offers visitors much simpler navigation and increased visual appeal that is sure to keep people interested. We now have their SEO services underway. 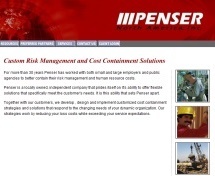 Penser North America of Olympia, Washington has worked with both small and large employers and public agencies to better contain their risk management, workers compensation and human resource costs. We redesigned their website to make a strong impact on their visitors and better reflect their level of professionalism and experience. 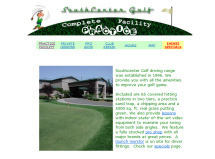 A Seattle, WA Driving Range and Golf Instruction School turned to us for a complete new web design. 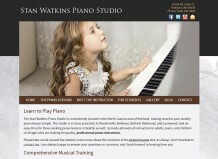 This website is currently being developed, and the initial response to their new site design has been overwhelming. A Northwest assisted living facility approached us with a serious need to increase web traffic and improve their existing website. So we got to work on the website redesign and search engine optimization for this senior care facility web development initiative. Within just two months, their traffic increased exponentially. At this point in time, nearly 80% of all their traffic is directly from the search engines and their website feedback has been tremendous. A Sammamish, WA personal trainer and registered dietitian had a website design created with a free web building template program. We stepped in to provide a completely new look that is already bringing in new business and converting website visitors into new clients. While people were visiting this site prior to our redesign efforts, few, if any, were following up with contacts. That has all changed now! 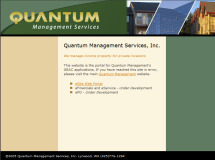 Quantum Property Management Services of Lynwood, Washington came to us in search of a look, feel and flow that impacts their audience and legitimizes their wide array of property management offerings in the Seattle and Tacoma areas. 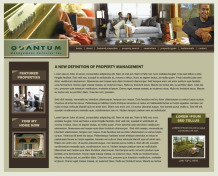 This new property management website design is currently in development. 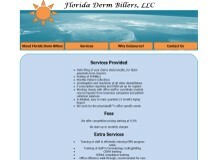 You can see the immediate impact and generated by this custom website design we are developing for the client. 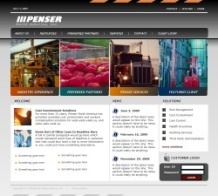 A complete site redesign like this can literally change the face of any business. 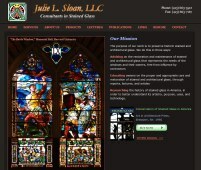 Julie L. Sloan, LLC, consultants in stained glass, came to us recently for a complete overhaul and site redesign. The existing website was packed with information and useful content, but just did not convey the fabulous reputation and history of the company. After rebuilding the website, we developed a complete content management system (CMS) to allow the client to self-maintain and modify everything on the site form dynamic photo galleries to individual page content.